Intrusion of water into your building can result in mold growth. Water intrusions can result from storm damage, plumbing or equipment failures, long-standing leaks and poor humidity control. When water intrusions are not addressed right away, the resulting damage can present increased risk of harmful mold growth. Reduce moisture with increased surface temperatures or reduced humidity levels in the air. To increase surface temperatures, insulate or increase air circulation. To reduce humidity, repair leaks, increase ventilation if outside air is cold and dry or use a dehumidifier. If you are sure or suspect that there is mold in your building, call SERVPRO immediately at 770-496-1976. The longer you wait to call, the mold growth will continue to spread, resulting in a greater chance of unrecoverable property. SERVPRO professionals have the expertise to prevent or mitigate the devastating effects of mold damage. Why Call SERVPRO for your Mitigation Needs? We understand that emergencies never happen at a good time. That’s where we can help! No matter whether you have water, mold or smoke damage, you can count on us to be ready. SERVPRO of Stone Mountain/Clarkston has a qualified team that can begin your emergency restoration services today. Suffering severe water damage from flooding water or a burst pipe needs immediate attention. 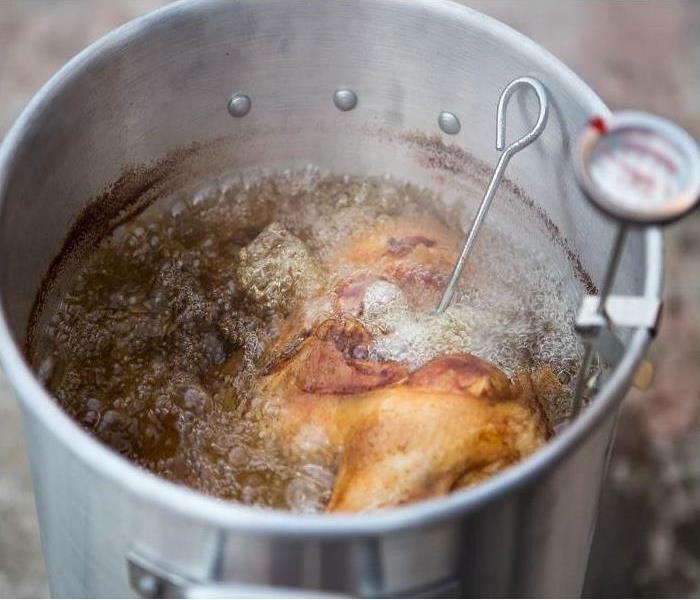 The water needs to be extracted so that drying can take place as soon as possible. The longer water sits in your home or business the greater chances of having secondary damages such as mold. We have a team of trained water technicians on call 24 hours a day. When you call our number after hours you will get a live person who will page the water team that is on call. Our average call back time for the technician responding is just 14 minutes. If you see mold inside your home or office then give SERVPRO of Stone Mountain/Clarkston a call. We have trained IICRC technicians certified as Applied Microbial Remediation Technicians that can remediate the problem. Mold estimates are scheduled by our office administration team during regular business hours. There is a service fee for scheduling a technician to visit your home and develop a written estimate for remediation. This service fee is deducted from the estimate if you select us to complete the work. Mold often appears from water damage that is not seen or was not dried properly. Sometimes mold is not visually present but there is a moldy or stale smell in the air. In this case you will need to call an Industrial Hygienist to come and sample the home. They will send these samples to a lab to determine what types of mold are present and if you have a problem that needs our attention. Fires can be destructive along with the soot and smoke that are also present. Fire damage requires emergency service as soon as possible. Securing the home from unwanted visitors and mitigating corrosive damage to metals that can become pitted from the acidic soot are just a few of the items that require immediate attention. We are trained, licensed and insured to handle all the problems that come from having a fire. How do you know if the company you choose to mitigate your water damage has the proper training? In the restoration industry, the Institute of Inspection Cleaning Restoration and Certification (IICRC) developed the “Standard and Reference Guide for Professional Water Damage Restoration” or S500. Along with the written standard the IICRC also provides training and certification for restoring property damage. We believe that ALL our employees need to be IICRC trained in Water Damage Restoration. We don’t believe in sending out one trained technician with a team of uncertified workers. On the job training certainly helps but being a certified Water Damage Technician is crucial. 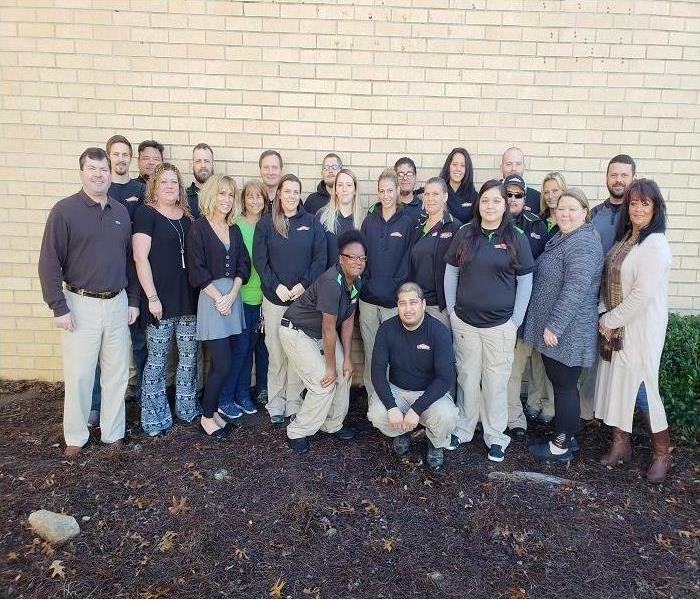 At SERVPRO of Stone Mountain/Clarkston we send all of our full-time employees to the three-day IICRC training class after six months of employment. This includes production personnel, our office staff and the marketing department. If you touch a water damage file…you get trained! SERVPRO of Stone Mountain/Clarkston would like to introduce you to our hard-working team. We have a well-educated group here to help you in a disaster situation. Our office staff consists of Vicki Wheeler, Amanda Barber and Baylee Kelley. They will be the first voice you hear and your first contact with our company. Tammie Logan is our accounts manager and will be able to help with any payment questions or concerns. Lori Miller is our reconstruction administrator and will be able to answer any questions your have regarding reconstruction after your mitigation has been completed. 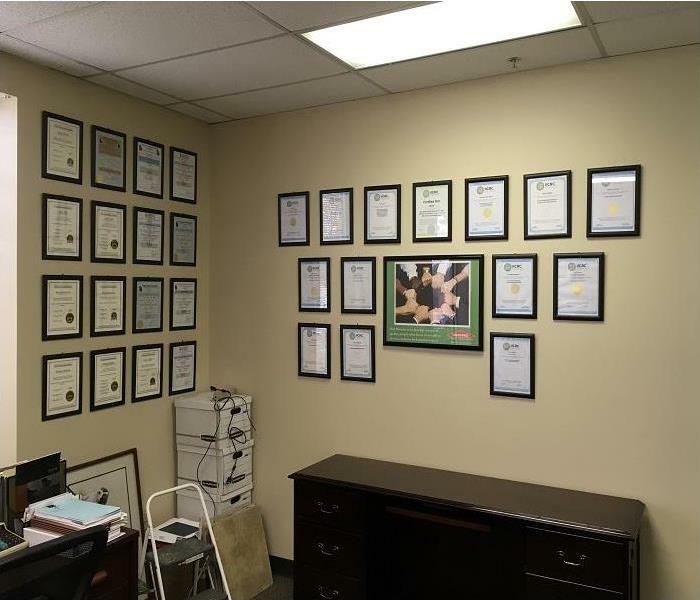 Our office staff is IICRC certified and knowledgeable in the mitigation process. Our crew chiefs hold certifications in WRT (Water Damage Restoration Technician), AMRT (Applied Microbial Remediation Technician), FSRT (Fire & Smoke Restoration Technician) & ASD (Applied Structural Drying Technician) amongst their other certifications. Our crew chief team consists of Jesse Garmon, Benny Stanley, Tom Jackson, Keonte Askew and Alex Flores. Our technicians that are always there to lend a helping hand are Mindi Marshall, Melody Marshall, Michelle Kelly, Brittany Trotty-Moctezuma, Cindy Purvis, Gilberto Villagomez, Jerry Moctezuma, Mauricio Vargas and Elizabeth Abreu. We make sure that anyone in our crew can assist you with any questions or concerns during the mitigation or remediation process. Please call our office at any time, 7 days a week, 24 hours a day. Our office number is 770-496.1976. Here at SERVPRO of Stone Mountain/Clarkston are excited to introduce our Reconstruction Team. We have 3 Project Managers: Mike, Austin and Cameron as well as Lori, our Reconstruction Administrator! Our experience in construction dates to the early 2000's when we started out as just a general construction company. Our reconstruction department can handle any size job. We will do insurance jobs or self-pay jobs. No job is too small or too large for our team. We believe in quality, honesty and hard work. We are a company based on trust and reliability. We value our customers opinions and strive to make it the easiest experience in a difficult time. If you are looking for a reliable reconstruction team, then we are your guys. We build more than homes; we build lasting relationships. Give us a call at 770-496-1976 for all your reconstruction needs. What started out as just training for our on-site personnel turned into training for our whole office. SERVPRO of Stone Mountain/Clarkston received a visit from Benjamin Karp at Georgia CPR. In the picture you can see us practicing our CPR techniques! We were taught how to position a person to perform chest compressions and how to properly administer the technique. 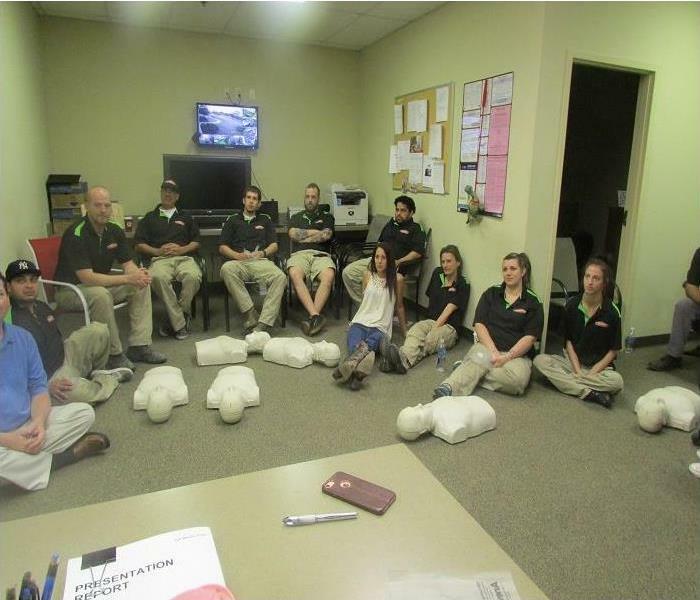 In addition to learning how to administer CPR, we learned whether you should. We were taught that before beginning CPR, you should first check to see if the person is conscious or unconscious. We were taught how to use an automatic external defibrillator (AED) to deliver a shock to a patient before beginning CPR as well. In conclusion, Not only are we a firm that is certified in Water, Mold and Fire but we are all certified in CPR, First Aid and AED as well! We are always prepared!! Having a water loss in your home is bad enough, however, water damage in your commercial building can be even worse in some cases. There are several reasons why commercial water damage can be more of a nightmare than residential water damage. For one, serious water damage can keep employees out of your office or important business from getting done. Here at SERVPRO of Gwinnett County South, we recommend you do the following things to prevent ever having water damage in your commercial building. Maintain the Grounds Around Your Building- If you don’t pay close attention, roots from trees in your yard can grow towards your pipes and cause them to break in some cases. The best way to prevent this is to not plant any trees close to any pipes going through your yard, but if you haven’t done that you should pay close attention to make sure you don’t have any roots threatening your pipes. Look Out for Restroom Over-Usage- All-too-often bathrooms, especially toilets and urinals, can be very prone to flooding. Obviously, this is most common when the bathrooms are frequently used. If you have bathrooms that receive a significant amount of use, you should make sure it receives maintenance checks regularly to catch any problems before they cause you a serious issue. Have Your Building Inspected by A Professional- It never hurts to call in a professional to inspect your building for any potential water damage risks you may have. A large amount of water damage issues is caused by a small problem becoming more serious and eventually causing a flood. A professional inspection will be able to catch these problems before they lead to any serious problems. Educate Your Employees- With so many different people in and out of your building every day, there is greater chance of flooding due to human error. To help mitigate this possibility, you should educate your employees about what they should and shouldn’t do to prevent flooding and water damage from happening. Most of these suggestions will be common sense things to do, but making a point of it can help prevent foolish mistakes. Even following all the steps above there is still the potential that a water loss happens to you. If it ever does, our team at SERVPRO of Gwinnett County South is here to help. Contact us at 770-448-5782 24/7. After a storm, our experience from past storms have shown us that people are resourceful and get anxious to get back home and get their business back up and running. What is important to remember is not to jeopardize your health and safety because you are trying to recover as fast as possible. The insurance company is panicked about this storm and the aftermath too. In part, because the storm cuts into their profits, and because the magnitude of loss and number of claims may be too much for their systems and teams to handle. This may be your adjuster’s first hurricane assignment. The representative coming to your property doesn’t have a copy of your insurance policy. Deposition after deposition tells us that the adjuster may have access to a declaration page on an IPad but these adjusters are not studying your coverage and endorsements, but are relying on their “experience”. You can get another copy of insurance policy from the company and you should ask for the complete copy. If you don’t ask for it, some insurance companies may take your silence to mean that you were familiar with the coverage. Some carriers give the impression that any insured who doesn’t ask for help knows all of the insurance provisions backwards and forward and they don’t assist their insureds. If you have been affected by a storm event. Contact SERVPRO of Stone Mountain/Clarkston at 770-496-1976. We are used to speaking with adjusters and can help. We are available 24/7. Call SERVPRO of Stone Mountain/Clarkston at 770-496-1976 for any water emergency needs. 4/15/2019 - Why Call SERVPRO for your Mitigation Needs?